At first I kind of thought the words were just a tad bit harsh. Just a tiny bit .... but then I shook that feeling off when she added that part that Whitney, of course, was gone to soon. However, India made a great point. 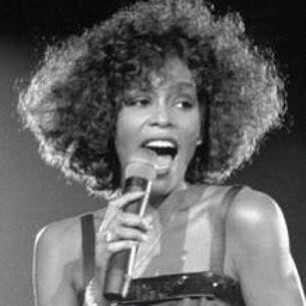 Whitney LIVED!! The concept of living, not just being alive, is one that I seriously embrace. India's interpretation of living included the facts that Whitney did what she loved (singing), She loved (God, daughter/family & I'm convinced was at one point madly in love with Bobby Brown), she was loved (millions of Fans), she traveled, & she was accomplished (broke world records, won awards, most memorable Super Bowl performance). I've had this thought in my head since seeing the interview. I finally took the time to share it via my blog. My spirit is telling me that someone must need to hear this. I, like the rest of the world, am a fan of Whitney Houston. She won me over as the God Mother of Cinderella, alongside Brandy. One of her songs, is the only song I've ever performed during Karaoke. (fun, fun, fun) So I would like to formally pay my respects. R.I.P. Whitney Houston. Oprah has the first interview of the family and Bobbi Kristina. I look forward to that, and I hope it clears up some nasty cases of speculation, in regards to Houston's estate so the Houston family can remember her legacy in peace.